After testing more than 20 laptops with Whiskey Lake-U processors, the raw gen-to-gen performance advantage looks to be one of the smallest in recent years. If you own a Kaby Lake-R laptop, it may be best to hold off on buying a replacement until Ice Lake comes out later this year. 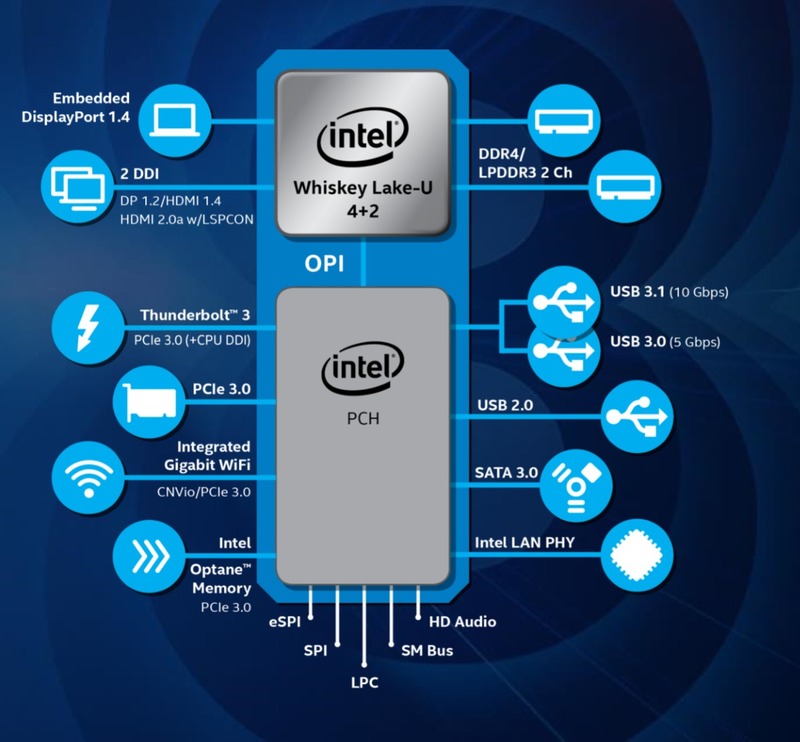 The Intel Whiskey Lake-U CPU series launched late last year to supplant Kaby Lake-R in an attempt to buoy laptop sales through the all-important Holiday shopping season. Now that CES 2019 has come and gone, laptops sporting Whiskey Lake-U have become commonplace enough for us to collect and benchmark almost two dozen different models from various manufacturers. We can gain a better understanding of how Whiskey Lake-U performs by averaging our results instead of generalizing performance based on just two or three models. How much of a raw performance boost can users expect if upgrading from Kaby Lake-R? As our CineBench R15 Multi-Thread results below will show, upgrading from the Kaby Lake-R Core i5-8250U to the Whiskey Lake-U Core i5-8265U will bring a raw performance boost of approximately 6 percent while the jump from the Core i7-8550U to the Core i7-8565U will bring a performance boost of approximately 10 percent. The deltas here are so minuscule that users will not likely notice a difference during day-to-day workloads. In comparison, the CPU performance jump from Kaby Lake to Kaby Lake-R is approximately 40 to 50 percent. The next successor to the current generation 14 nm Whiskey Lake-U series will be the 10 nm Ice Lake set for a late 2019 launch. Intel teased its integrated AI capabilities at CES last month alongside Gen11 integrated graphics to replace the aging Gen9.5 UHD Graphics 620. We suggest holding onto your Kaby Lake-R laptops for now at least until Ice Lake laptops become available. Ice Lake is expected to have a larger gen-to-gen performance advantage than what the mid-step Whiskey Lake-U series has to offer.